To improve our service - Your information helps us to more effectively respond to your requests and needs. To process transactions - Your information, whether public or private, will not be sold, exchanged, transferred, or given to any other company for any reason whatsoever, without your consent, other than for express purpose of delivering the service requested. To send periodic emails - Any email address you submit through the site may be used to send you information and updates, news, offers, etc. If at any time you would like unsubscribe from receiving future emails, we include detailed unsubscribe instructions at the bottom of each email. As you browse NUREIA.org, advertising cookies will be placed on your computer so that we can understand what you are interested in. 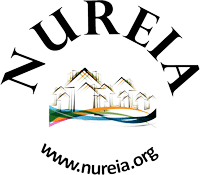 Our advertising partner(s) then enable us to present you with relevant advertising on other sites based on your previous interaction with NUREIA.org. The techniques our partners employ do not collect personal information such as your name, email address, postal address or telephone number. We do not sell, trade, or otherwise transfer to outside parties your personally identifiable information. This does not include trusted third parties who assist us in operating our website or servicing you, so long as those parties agree to keep this information confidential. We may also release your information when we believe release is appropriate to comply with the law, enforce our site policies, or protect ours or others rights, property or safety. However, non-personally identifiable visitor information may be provided to other parties for marketing, advertising, or other uses.